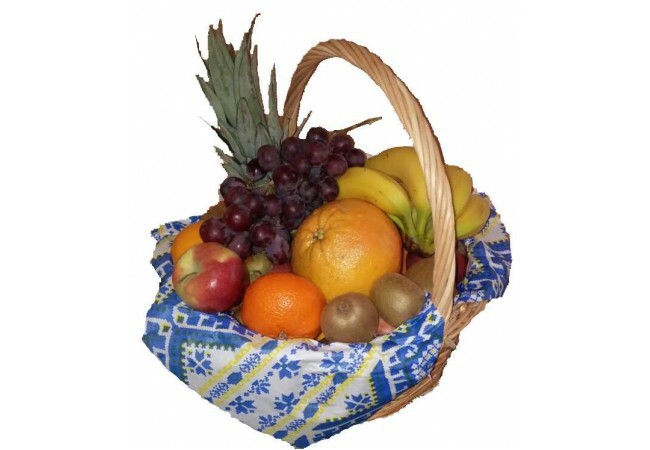 Description of the basket: A gift basket of fabulous fruit garden will delight in a rainy day. 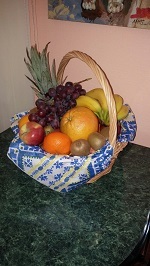 Composition of the Basket: Bananas, pineapple, mandarin oranges, apples, grapes, oranges, kiwi, basket. (Basket can be replaced with the same type, in case of absence of this model in stock. 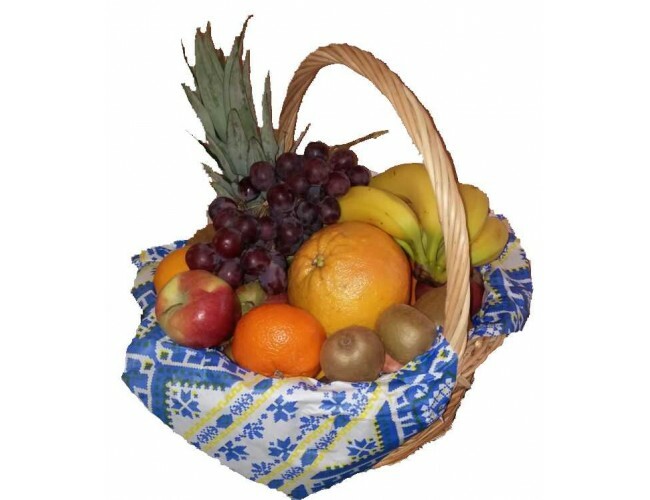 Baskets are delivered in a transparent cellophane packaging.) Weight 7-8 kg. This beautifully presented basket was ordered and shipped quickly and efficiently by the super nice team. It arrived at destination within a few hours and looks just as good in real as it does on the picture. The presence of the team on Skype made this buying experience from abroad very smooth. These people are real professionals and I felt very comfortable ordering from their site. Will use again!